Welcome to #GetLoaded. This is the final stop on the tour. You should have come here from Sherry Roberts’ blog. Be sure to check the IBC blog in case you missed any stops and to gather today's Scavenger Hunt Clues. What is this madness? What does it mean? Well, I’m glad you asked. It means you can get lots of free ebooks, enter to win *amazing* prize packs and an AWESOME grand prize. As you are prowling the savannah of the internet hunting up clues, you may stumble upon Neiko’s Five Land Adventure, grab it quick but don’t get lost in this amazing fantasy just yet there’s a lot more to come. Your journey doesn’t have to start Anew when the Archer brothers are available to help you along the way. But the streets may be calling to you with A Hustler’s Promise. Or perhaps you are looking for a Book ofMercy with quirky and fun characters to share your day. Here you will discover Secrets of the paranormal and life-altering kind. Olivia Martin was just a normal girl with a normal life. She had her family and her best friend, Juliet, and a promising career. Everything was perfect until she met a man. A man she couldn’t figure out or explain why she felt connected to him. Piece by piece her life falls apart as she is gets closer to a world she would have never believed existed. Secrets is a book about love, heart break, friendships, and the truth we keep hidden from the world—and sometimes even ourselves. To get a copy of Secrets all you have to do is leave a comment with your name and email address. The Secrets Girls Night In gift basket. To win this gift basket leave a comment (with your name and email address) on my wonderful and delightful sponsor’s blog, E-Readingon the Cheap. After you leave your comment (with email address!!) head over to the IBC blog and follow their clues for your very own adventure and chance to win a KINDLE! For those of you who already have a Kindle, my first book, Dark Corners, is available for today only for free on Amazon. Thank you so much for stopping by today. I would love to hear from you! I've got to say that I like the cover of your book very much, Liz. Makes me want to read it all the more. Hope everything is going well for you with this tour. Best of success to you and all involved, as well. I want that prize back, The Breakfast Club!!! :) I commented on your sponsors page, also. Hi! I haven't heard of Secrets but the blurb makes me want to read it. Very mysterious. Great gift bag too. Love those movies! Thanks for the wonderful goodies. Your book sounds amazing! Thanks so much for the giveaway! Your books sounds great. I cant wait to read it. Thanks! Both books sound great. I enjoy mysteries. BTW, Dark Corners is free right now to regular Amazon customers, not just Prime. Don't forget if you don't have a kindle you can download an app for your PC. I download any interesting free kindle books for when, fingers crossed now, I get one. I hope you are having a happy Blog Tour! Your book sounds intriguing and I loved the dramatic music and photography in the trailer! Thanks for the giveaway (Kindle version please). Hi, I love the Blog Tours and learning about new authors. Your book sounds great and I can't wait to read it. Thanks a bunch! I prefer the Kindle version. the book sounds great! I cannot wait to read it. Your books sound right up my alley :) I'll be heading to amazon after this to pick up a copy of Dark Corners. Thank you for participating in the blog tour! Hello! Your book sounds amazing. I am looking forward to reading it. Thank you!!! thank you for the opportunity to learn about you and your books. This has been alot of fun! I love The Breakfast Club! Your book sounds amazing and I can't wait to read it!! Book sounds wonderful. Hope you have much success with it. I Love 80's movies!!!!! So I know this book is going to be Great!!!!! I can't wait to discover the Secrets..........Much success to you, and glad that we met. This is fantastic and I love 80's movies. Can't wait to read the book! Thank you all! I am so happy to meet you. I will start sending out the emails now. :-) I hope you like the book/s. I would love to hear from you. Please feel free to friend me on Facebook or Twitter. I can't wait to read it...it looks great. I hope you are having a great Blog Tour! I cannot wait to read both Secrets and Dark Corners. They book look really interesting. And the gift baskets look amazing! The Breakfast Club is one of my favorite movies and I adore Lindt and Ghirardelli. Thanks for the giveaway! I really can't wait to read your book, it sounds great. I love these movies, I've seen them a million times but never bought them. I would love to have my own copies! But we've all won anyway we got free books!! Thank You and All The other Authors for all the free Books!!!! I can't wait to read these books!! I love Jennifer Oliver's work!! Just watched the Trailer for the book "Secrets" and I must say it's very intriguing. I would love to place a bookmark in this read and delve deep into the secrets that lie ahead for Olivia. Haven't heard much about Secrets...but it looks VERY interesting...LOVE the cover! Can't wait to read it! THX! Thank you for an awesome blog hop and giveaway. Your book sounds interesting and I am looking forward to reading it. I would like to have it in PDF format please. Your book seems amazing!I liked the trailer and it made me very curious. larisapapy[at]yahoo[dot]com - ePub format please. 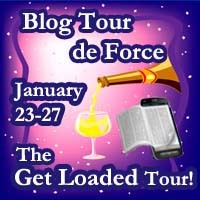 Thank you for participating in this fun blog tour. I'm really looking forward to reading your books! Go, Liz. 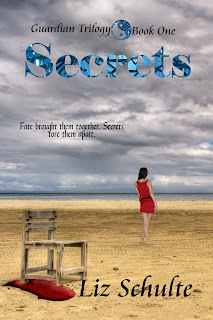 Secrets is aptly named because there are secrets tucked inside secrets in this great book. You will be glad you picked this one up. Have a great tour. Your book sounds very interesting, enjoyed the trailer. Look forward to reading Dark Corners also. Thanks for being part of this fun blog hop. I'm excited to get started on both books--they sound like great reads. Love the trailer too! I am new to this blog thing. Thanks for the free books. I am an avid reader and anxious to read them. I loved the trailer! Te book sounds fab!! I can't wait to read it!! Thank you so much for joining in this great event. I love your rating system:) Mine is spiders, but bats awesome too!! Hello Liz, just dropping in to say hello and wish you well on your tour day ;). I'm intrigued by that summary, sounds like a great read. Thanks for being so generous with your readers! Ooh sounds fun. I look forward to reading it. mic.richie@gmail.com. If you have it in epub format that would be awesome. Thank you for the giveaway! I'm really curious to see what happens in your book, it sounds good. I did a review for Dark Corners awhile back on Makobi Scribe. Love your writing! Thank you for offering your book for us to read! I love reading, and I am so looking forward to diving into the world you have created. Book sounds great can't wait to read it, I went over to the Big A and grabbed Dark Corners as well, I think I'm going to need lots of wine to keep me from being too scared. The trailer and the cover are very beautiful except of the story of course. This book looks awesome :) I want to read it so badly *jumps up and down* Um you overlook my enthusiasm, I feel kinda creepy now. I love your contest Idea with the book Secrets and made it into a Girls Night gift. I ran over real quick and grabbed Dark Corners. I'm sure I will definitely enjoy reading Secrets as well. Thank you all so much! I wish blogger would let me comment to each of you individually! @jbon, I just need an email address for you and I will send a book your way. Love the Secrets trailer! I hope that you have a great weekend! The book trailer is outstanding, and I'm very excited to read this series. I hope 2012 brings you every golden opportunity to further your career and continues to bring you much success! OMG - what were you thinking! Chocolate and sea salted caramels, Dark Corners on Amazon for free today, and giving away Secrets - good gracious woman you trying to start a stampede. Between the new season of Justified starting up and the treats offered on this tour, I just don't know how much more excitement I can take :) Thank you so much for participating in this fun and for your incredible generosity. As an avid reader I am so appreciative of the talents you share with us and I am really looking forward to reading Secrets. I am happy with a mobi, ePub, or PDF, which ever is easiest for you. Sending you good thoughts of joy and much continued success your way with tons of appreciation! Thank you so much for participating in the blog hop! I couldn't wait to get to your site today and thanks too for the book!! Can't wait to read it. By the way..........I loved the trailer! MOBI files work best for me. Thanks again for the great book! I'm looking forward to reading Secrets. I love giveaways. I also love having a girls night in with my mother and sisters. Hi Liz! :) Oh. My. Goodness> That gift basket looks heavenly!! :) Happy blog tour day! Hi, your books both sound amazing so when I'm done here and going to get your first one over and Amazon :) I would love to see more of you work. Thanks for such a great giveaway, I can't wait to read "Secrets"! A kindle version works best for me, if it's possible. I had just picked up "Dark Corners" this morning at Amazon. Wow, that was fast! Thanks again, "Secrets" is now on my Kindle and I'm very excited to start reading it! What a great event! I've heard so many amazing things about Secrets and would love a copy! Thanks for the chance. @Valerie Do you have an email address I can send Secrets to? I love your trailer, it makes me want to read Secrets even more, can't wait to get a copy. Thank you for the tour it is so much fun. Okay I am in, downloaded Dark Corners already and would love to read Secrets as well. Also since it just so happens my favorite music and movies are from the 80's the girls night in pack has two of my favorite 80's leading men Judd Nelson and John Cusack so that is worth whooping over also. Nice to meet you Liz, thanks for the books and heading over to Ereadingonthecheap who actually since got the email feed is the reason am here now! I have a Kindle DX so an appropriate file to put on my reader of a PRC or MOBI works for me. This is a fantastic giveaway. Thanks so much for being part of the tour! Looking forward to reading your book. I can't wait to find out what the secret is. Thanks for doing this. Looks like an awesome gift basket. Thanks for the chance to win it. Looks like a great prize. Sign me up to win! I loved Dark Corners so I'm sure I'll love this next one of yours! Can't wait to check it out! Thank you for being part of the tour. I do so appreciate that you, Jackie, A.K., Chelsea and Sherry have books in epub format as I own a Nook. I am aware of the Kindle app for computers, but it's not as convenient as my ereader. Not sure but here is my email address nuyner 02 at hotmail dot com. It will not let me publish otherwise. Sounds like a great book to read on my Kindle. Please send me a Mobi copy or a PDF that I can convert. Thanks for the heads up about your free book at Amazon. I am looking forward to reading your work. I'd love to read your book Secrets, if you can please send it in a pdf format. I'm so glad you decided to join the tour. I love seeing all the comments. If you hadn't been on the tour, I might have never found you. Thank you for being here. Looking forward to reading your book, the tour allows me to read new authors I wouldn't otherwise find. Kindle version. Thanks for participating in the blog tour! Can't wait to read your book! I'd like the kindle version, please. Liz, Thanks, got Dark Corners. I would love to have Secrets in mobi format for my Kindle. I'm looking forward to reading SECRETS. Such a great tour thank you. I love that you are doing this. May I have a copy in mobi, epub or pdf. Thank you. I can't wait to read Secrets! I loved Dark Corners. I prefer a Kindle format, if there's a choice.